To transform care for people who have serious mental illness so they can live their best lives. To advance the use of a person-centered approach to care that ensures people who have SMI find the treatment and support they need. Supports real-world clinical practice with education, evidence, and consultations. Answers questions about evidence-based screening and treatments. It supports their use as part of best practice care plans. Involves all persons in the conversation about care. Content and answers have input from clinical experts, peers, families, and people receiving care. Provides answers on all facets of SMI and directs everyone to the resources and support they may need. 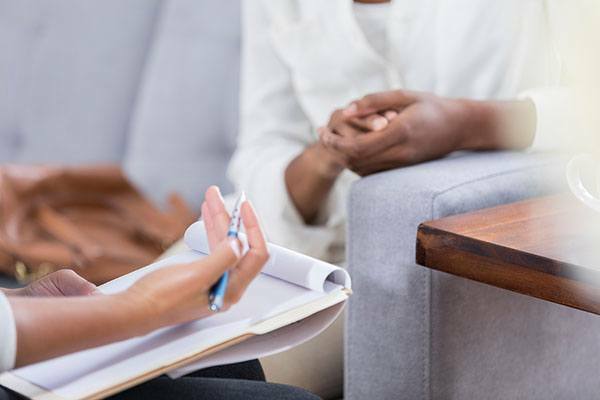 In July 2018, the American Psychiatric Association (APA) was awarded a five-year, $14.2 million grant from the Substance Abuse and Mental Health Services Administration (SAMHSA) to establish a Clinical Support System for Serious Mental Illness. That is how SMI Adviser began and its purpose is to support clinical care. The diversity of the United States continues to increase. Census data projects that by 2044 more than half of all people in the U.S. will belong to minority groups. These groups often face greater burdens when it comes to serious mental illness (SMI). This may be due to stigma, difficult access to health care, and other cultural and systemic barriers. Education and technical assistance are key strategies to address mental health disparities in minority communities. With the right knowledge and skills, health care providers can deliver care that is informed by cultural norms and needs. That is where SMI Adviser helps. SMI Adviser offers educational materials, clinical consultations, and toolkits that promote culturally competent care for people who have SMI. SMI Adviser also serves as a resource for families and communities. Our work helps reduce stigma and promote evidence-based treatment for all persons in need of care for serious mental illness. Enhance the level of professional collaboration in all communities. 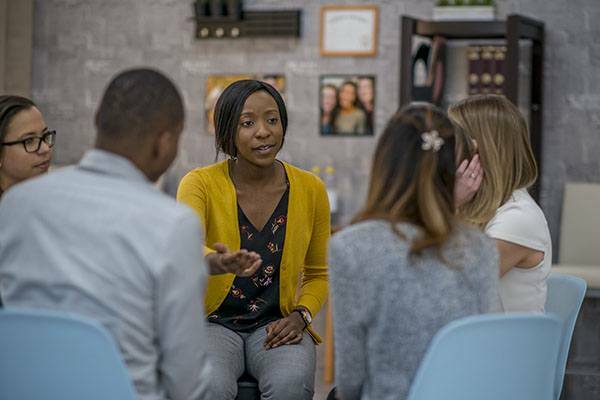 Promote ways to reduce mental health disparities. Tristan Gorrindo, MD is the Deputy Medical Director and Director of Education for the American Psychiatric Association (APA). He is the Principal Investigator of the SAMHSA funded Clinical Support of Serious Mental Illness initiative. Additionally, he oversees undergraduate medical education (UME), graduate medical education (GME), continuing medical education (CME), and maintenance of certification (MOC) for the APA. In this role, he is responsible for the 400+ scientific sessions of the APA Annual Meetings, as well as 200+ activities in the APA’s online learning management system and the APA’s maintenance of certification books and Focus journal. Dr. Gorrindo’s passion is innovative education. He is committed to advancing the field of psychiatry through novel learning formats and has extensive expertise in leveraging technology in education and online/distance learning. In 2017, Dr. Gorrindo's Division provided over 370,000 hours of accredited education through online and live activities. In addition to program development, he is the APA’s liaison to the American Board of Psychiatry and Neurology (ABPN), the Accreditation Council on Graduate Medical Education (ACGME), the American Association of Directors of Psychiatry Residency Training (AADPRT), the Association of Directors of Medical Student Education in Psychiatry (ADMSEP), and the Association of Academic Psychiatry (AAP). Housed within the Division of Education, he additionally oversees the Office of HIV Psychiatry and the Office of Addiction Psychiatry. Dr. Gorrindo completed his clinical training at Massachusetts General Hospital and Harvard Medical School and is a practicing board certified child and adolescent psychiatrist. Teri Brister, Ph.D., serves as the Director of Information & Support at NAMI, the National Alliance on Mental Illness. Dr. Brister is responsible for the development of new programs and ensuring the overall quality content of NAMI’s existing programs. She is the author of NAMI Basics, the signature education program for parents and other caregivers of children and adolescents with mental illness and co-author of the NAMI Homefront education program for families of Service Members and Veterans who are experiencing mental health challenges. Prior to joining the Education, Training and Peer Support Center in January of 2007, Dr. Brister was a NAMI Regional Leadership Consultant. Prior to joining NAMI in 2005, Dr. Brister worked for twenty years in the community mental health system in Mississippi, working in both clinical and administrative roles, including Assistant Executive Director in two different centers. Dr. Brister received her Ph.D. in Public Policy and Administration from Jackson State University, and her Bachelor of Science and Master of Science degrees in Counseling Psychology from the University of Southern Mississippi. She is a Licensed Professional Counselor in Mississippi. Dr. Cohen is a clinical psychologist and implementation scientist with clinical and research expertise in serious mental illness. She has over 17 years of experience implementing and evaluating evidence-based services that improve patient outcomes in complex state and federal healthcare delivery systems. She has considerable expertise in evidence-based guidelines, best practice models of care delivery, evidence-based quality improvement strategies, physician motivation, patient-centered care, development and implementation of informatics to support care quality improvement, systems redesign, and research methodology. Dr. Cohen services on scientific review panels for NIMH, Department of Defense, and the Veterans Administration. Her work has continually been funded through grants from NIMH, Veterans Administration, SAMHSA, and Foundations. Dr. Cohen is an Associate Research Psychologist in the Department of Psychiatry and Biobehavioral Sciences at the University of California, Los Angeles (UCLA). Dr. Druss is a Professor of Health Policy and Management and Rosalynn Carter Chair in Mental Health at Emory University. Dr. Druss’s work focuses on improving health policies and systems of care for people with serious mental illness, with a particular focus on integration between mental health, physical health, and public health. Dr. Druss serves on the Editorial Boards of JAMA Psychiatry, the American Journal of Psychiatry, and General Hospital Psychiatry, and edits Psychiatric Services' Integrated Care Column. He was a member of NIMH’s National Advisory Mental Health Council from 2014-18. Patrick Hendry strongly supports the inclusion of mental health peers in all aspects of the mental health system. He is Vice President of Peer Advocacy, Supports and Services for Mental Health America (MHA). He has been with MHA since 2009. Patrick provides national advocacy and develops new services and training for peers/consumers within the behavioral health system. He has led MHA’s development of the first advanced level national peer support certification which maintains the highest standards of skills, education, and training in the nation. Patrick is the former Director of NCSTAC, one of five SAMHSA-funded national technical assistance centers tasked with promoting the consumer voice and developing peer-run organizations. He has worked as a consultant for the National Council for Behavioral Health, the University of South Florida, SAMHSA, NASMHPD, and numerous other agencies. Patrick has worked as an advocate and initiator of peer-run services for 27 years in a variety of leadership roles, including the Florida Self-directed Care program. He was the 2014 recipient of the National Council’s Eli Lilly Lifetime Achievement Award for Reintegration, and the SAMHSA VOICE Award for advocacy. In 2012 he received Mental Health America’s highest honor, the Clifford Beers Award. Patrick has served as a speaker and presenter at conferences and symposiums nationally and internationally. Dr. Donna Rolin is Clinical Associate Professor and the Director of the Psychiatric Mental Health Nurse Practitioner program at the University of Texas with 21 years of experience in psychiatric nursing. She is co-leading inter-disciplinary graduate training initiatives with Schools of Nursing, Medicine, Educational Psychology, Social Work, and Pharmacy with funding from the Health Resources and Services Administration and the Texas Higher Education Coordinating Board aiming to expand a culturally diverse workforce for underserved populations. She serves as the Co-Director of the Institute for Domestic Violence and Sexual Assault (IDVSA), working alongside Schools of Social Work, Law and Bureau of Business Research. Dr. Rolin’s current research focuses on wellness self-management for mental health promotion and the integration of telepresence robots in healthcare education. Dr. Rolin serves on the national Board of Directors of the American Psychiatric Nurses Association. Dr. Rolin continues her clinical practice as a Psychiatric Advanced Practice Registered Nurse with a community-based group working with underserved patients with serious mental illnesses (SMI), neurocognitive disorders, and intellectual disabilities in outpatient, long term care, telepsychiatry, and inpatient psychiatric facilities. She acts as the SMI Nursing Expert on the American Psychiatric Association’s Community Support Services for SMI (CSS-SMI) Clinical Expert Team. John Torous, MD MBI is director of the digital psychiatry division, in the Department of Psychiatry at Beth Israel Deaconess Medical Center, a Harvard Medical School affiliated teaching hospital, where he also serves as a staff psychiatrist and academic faculty. He has a background in electrical engineering and computer sciences and received an undergraduate degree in the field from UC Berkeley before attending medical school at UC San Diego. He completed his psychiatry residency, fellowship in clinical informatics, and master's degree in biomedical informatics at Harvard. Dr. Torous is active in investigating the potential of mobile mental health technologies for psychiatry and has published over 75 peer reviewed articles and 5 books chapters on the topic. He serves as editor-in-chief for an academic journal on technology and mental health, JMIR Mental Health, currently leads the American Psychiatric Association’s work group on the evaluation of smartphone apps, and is an advisor to the smartphone mood study within the NIH's one million person All of Us research program. Dr. Alexander S. Young is a psychiatrist, health services researcher and Professor of Psychiatry at UCLA. He has focused on improving and studying care for people with mental illness, emphasizing implementation science, psychopharmacology, measurement-based care and health informatics. Dr. Young has developed quality measurement for mental health, and worked to implement state-of-the-art treatments for people with mental illness, including leading clozapine programs at public clinics. He led a national project that developed a set of competencies that clinicians need to possess to successfully treat people with mental illness, and an instrument that measures these competencies. He co-led a multi-site trial of an innovative consumer-led intervention that improved these competencies. Since a major barrier to improving mental health care is inadequate information regarding patients and their treatments, he has implemented informatics systems to support care. Dr. Young also led EQUIP, which implemented and studied the effectiveness of measurement-based care to improve treatment for schizophrenia at 8 medical centers in 4 states. He developed and studied the effectiveness of a personalized computer system with peer coaches that helps people with serious mental illness improve their diet and activity and lose weight. He developed a computerized system that measures the treatment preferences of people with serious mental illness. He leads a project that is implementing and studying a patient centered medical home tailored to improve general medical care, psychiatric treatment and cardiovascular health in patients with serious mental illness. Clinical experts from these organizations provide content and resources for SMI Adviser. Experts from these organizations advise the strategic planning of SMI Adviser.